When I sat with William Faulkner at UVA in the last year of his life, he still believed that his literature had been about the human heart. What other purpose could there be for a serious writer? What higher goal worthy of a lifetime of creative devotion? I trust that I have kept faith with Mr. Faulkner and revealed to the extent of my talent the heart of the human experience in my every novel and screenplay. While actors, directors, and producers networked in the pursuit of film careers, I devoted my creative life to the writing of novels suitable for filmmaking far removed from their working environments but not removed from how films could be adapted from my stories. I am of a generation raised on weekly movie going; and as an elementary school child, I kept a daily 4 p.m. television appointment to see the MGM film catalog where, at the age of ten, I became a fan of Wallace Beery. It was little wonder that my first professional credit after college was the writing and directing of a movie in Europe and that all my subsequent short stories, novellas, and novels were written from a visual perspective easily adaptable to screenplays. The reason that I did not enter the mainstream of writers and filmmakers was that my purpose in writing was to attempt to produce an enduring, hopefully important, literature. It was not that I wanted to write literary novels for academic or critical praise, because I judged that milieu as limited as the popular culture of irrelevant books and films. My audience, as I still view it, is the great middle ground of individuals in search of a meaningful literature that will inspire awareness of the American experience in the last hundred years and provide a conscious alternative for philosophical and psychological change in the future. That’s what important literature and films do—they elevate the human dialog across the social spectrum, and ultimately, they inspire ideas whose historic time has come. While other creators have built careers on appealing to the age 15 to 24 film-going audience, I have prepared a body of work that speaks to adults; and as the baby boomers come into their own as the greatest U.S. market force, I hope that they will dictate a revolution of taste in books and films. They will require more than scary thrills, adventure escapes, and adolescent comedies. They will want more mature expressions of passion, drama, and humor. And for those adult generations just behind them, the word-of-mouth recommended books and films will be the ones that serve their interests and concerns, too. 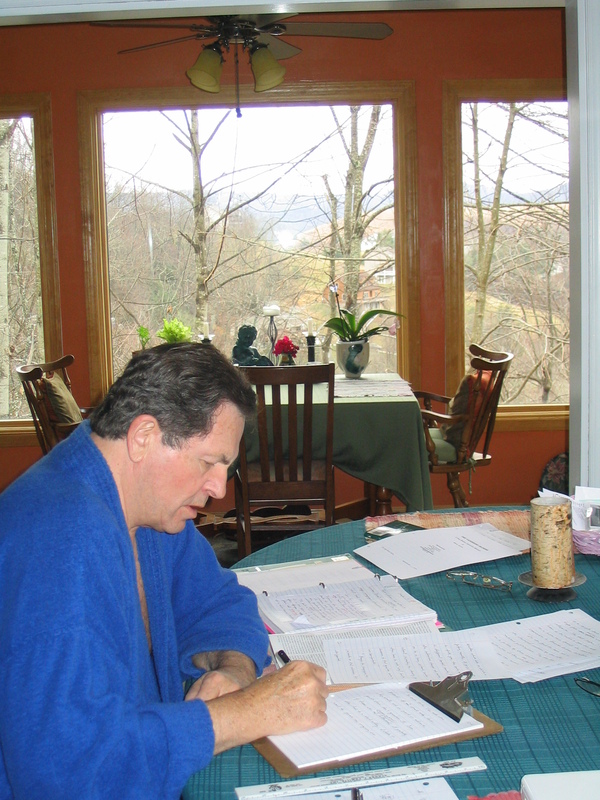 If I have seemed out of commercial play for most of my writing life, it is only because the devotion to the work itself was always paramount. Now, in 2011, the precise cultural moment has arrived to roll out the products conceived and created for this emerging era and the substantial audience that is waiting to absorb them. I realize that I am not the only agent of this creative and sociological change, but I am certainly one of the most prodigious of its progenitors with more than fifty major works. Don’t fear that the message will override the storytelling, because there is no art in that form; and I am, if nothing else, a craftsman. My characters are real within the creative moment, and they act and speak in ways that always amaze me. And as I laugh and cry with them, so will the reader and the theater audience because of the common dilemmas that we share. But real art is universal, and the portrayal of the contemporary human condition is relevant in the UK, in France, and in Japan, China, and India as well.